Apex Legends Characters all have unique abilities. We've detailed them for Octane, Bloodhound, Gibraltar, Lifeline, Pathfinder, Wraith, Bangalore, Mirage, and Caustic. 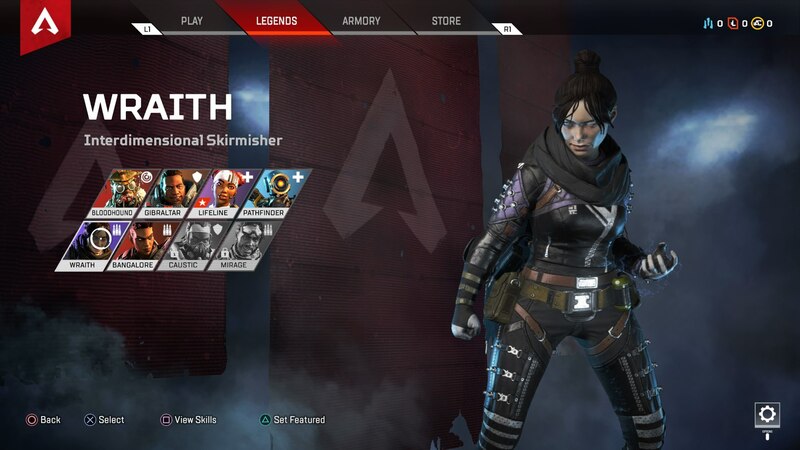 There's an ever-growing list of characters in Apex Legends, all of which have their own unique abilities and cosmetic items. In our Apex Legends characters guide, we'll be compiling all the information you need on every single character in the entire game, so you've got information on Octane, Gibraltar, Wraith, and more, all in one place. In the complete Apex Legends Characters guide below, we'll be putting together a list of every Apex Legends character. This includes Apex Legends characters that were released after the launch of the game, like Octane. 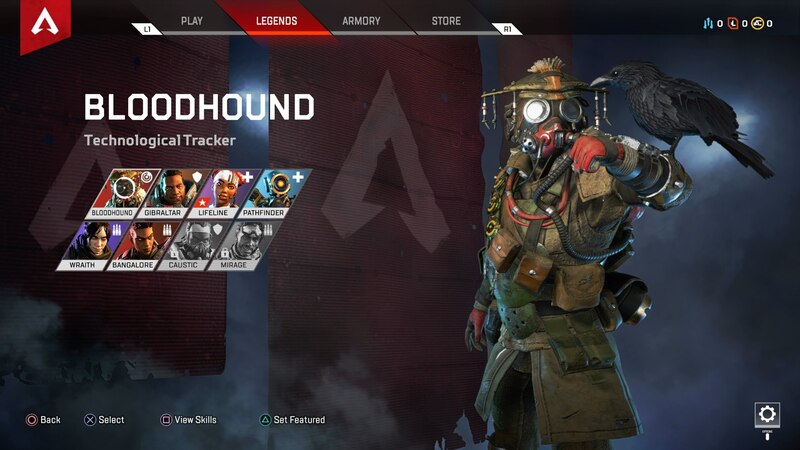 Bloodhound functions as the sole ‘tracker’ character in Apex Legends. As you can see in the list of available skills below, all of Bloodhound’s skills focus on either being able to track the footsteps of enemies, or pinpoint their locations through structures. Eye of the Allfather - Briefly reveal enemies, traps, and clues within all structures in front of you. Beast of the Hunt - Enhances your senses, letting you see cold tracks and move faster. 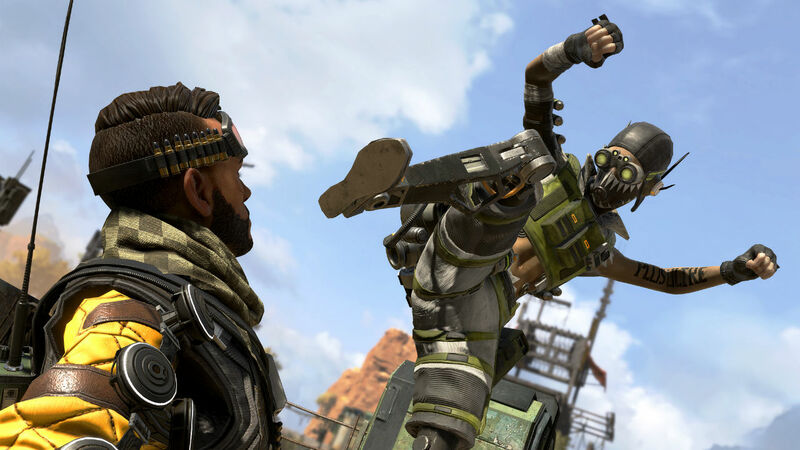 Although other characters like Lifeline feature some defensive skills, Gibraltar is the main defense hero in Apex Legends. The passive ability of boasting a shield when aiming down sights means you can always face enemies head on. Dome of Protection - Throws down a dome shield which blocks incoming attacks for 15 seconds. Defensive Bombardment - Call in mortar fire on a position that you mark with a flare. One of the two medic characters in Apex Legends, Lifeline focuses on providing support for your other two teammates. It’s always a good idea to have at least one medic in your squad, and Lifeline might be the best medic class in the game. Combat Medic - Revive knocked down teammates faster while protected by a shield wall. Healing items can be consumed 25% faster. DOC Heal Drone - Deploys a drone that heals nearby teammates over time. Care Package - Calls in a care package full of defensive equipment. If you played past Titanfall games, you’ll recognise Pathfinder as one of the hapless robots that you could shoot around the majority of the multiplayer maps. While Pathfinder is listed as a medic, they’ve got more in common with the scouting ability of Bloodhound, able to zip around the battlefield with ease. Insider Knowledge - Scan a beacon to reveal the ring’s next location. Grappling Hook - Grapple up to higher vantage points quickly. Zipline Gun - Creates a zipline for all teammates to use. Wraith is one of the more experimental heroes of Apex Legends. She’s actually a jack of all trades, able to hear when enemies are near with a voice that calls to you, but also able to move teammates around quickly with the rifts. Voices From the Void - A voice calls you to when danger approaches. Into the Void - Reposition quickly through use of a void, avoiding all damage. Dimensional Rift - Link two locations together with portals for 60 seconds. 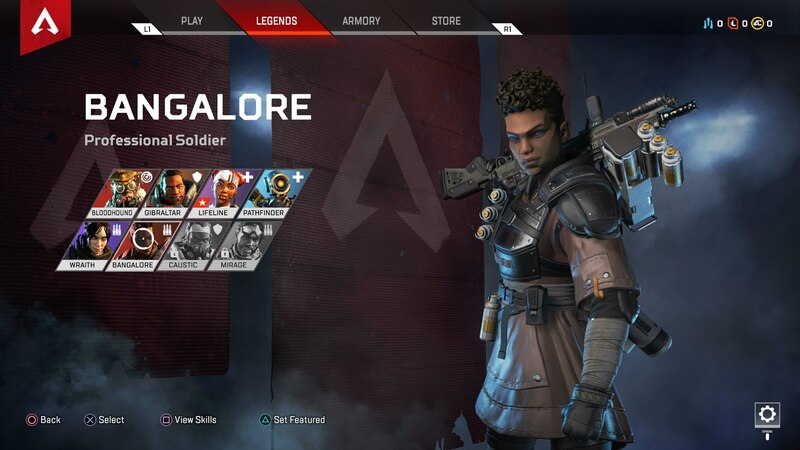 Bangalore is as close to a proper soldier class as you’re going to get in Apex Legends. She’s pretty good on defense, able to deploy a huge smokescreen, while also being able to bombard enemies with mortar strikes. Double Time - Taking damage while sprinting makes you briefly move faster. Smoke Launcher - Fires a smoke canister that explodes on impact. Rolling Thunder - Calls in an artillery strike that moves across the map. 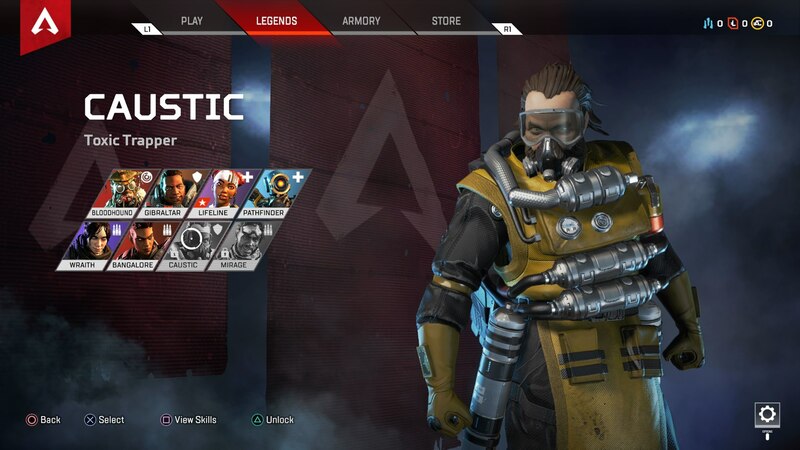 Caustic is one of the two heroes of Apex Legends that’s locked behind the microtransaction currency. All of Caustic’s abilities focus on the use of poisonous gas, which can slowly chip away at the health of enemies. Nox Vision - You can see all enemies that pass through your deployed gas. Nox Gas Trap - Place up to six gas canisters that are triggered when shot or by passing enemies. Nox Gas Grenade - Blanket a large area with deadly Nox gas. 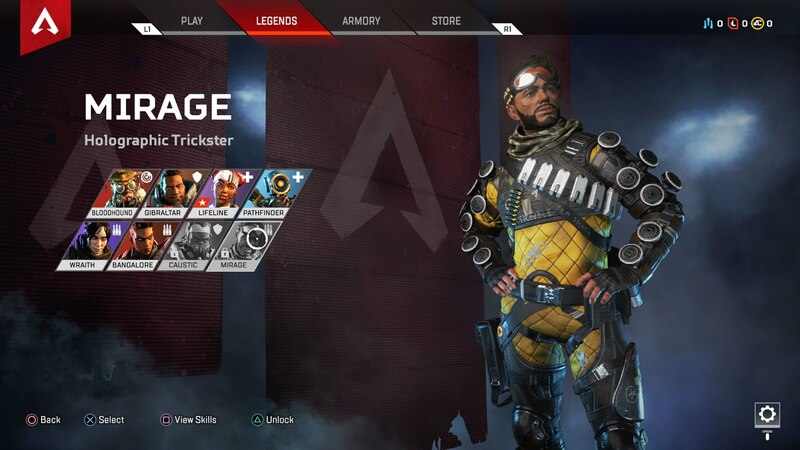 Finally there’s Mirage, the second hero in Apex Legends to be locked behind the paywall. Mirage focuses on being able to deceive enemy teams, by deploying holographic decoys. Encore! - Automatically drop a decoy and become cloaked for 5 seconds, whenever you get knocked down. Psyche Out - Send out a decoy to confuse enemies. Vanishing Act - You become cloaked, and send out a team of decoys. 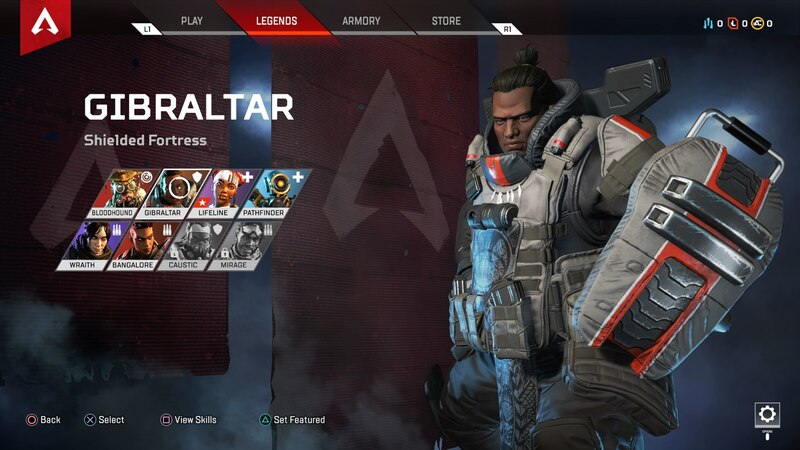 Finally on March 19, Octane launched in Apex Legends. Like Mirage and Caustic, Octane is locked behind the Apex Coin paywall. Swift Mend - A passive ability, Octane restores 1 health for every 2 seconds while not taking damage. Stim - Tactical ability: Octane moves 30% faster for 6 seconds, which costs 10% of total health. Launch Pad - This Ultimate Ability deploys a launch pad that catapults allies into the air, and takes 90 seconds to recharge. In the sections above, we've hopefully given you an idea of what to expect when stepping into the shoes of any character in Apex Legends for the first time. However, if you need even more detail on any character in Apex Legends, including everything we know about their backstory, as well as tips and tricks to win while playing as each hero, you can head through any of the links listed below. Can You Choose Which Character You Want to Play as in Apex Legends? Yes, and there's a colorful list of characters to choose from at that. 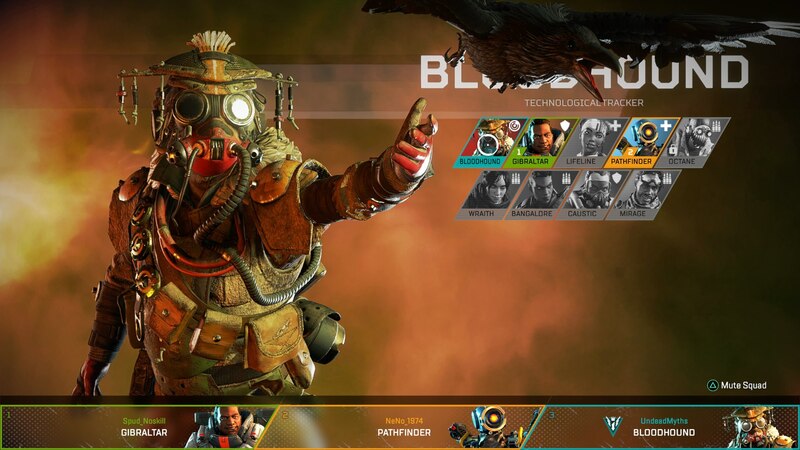 At the very start of a game of Apex Legends, you and your two teammates will take turns picking a character, with the selection order being entirely randomized. 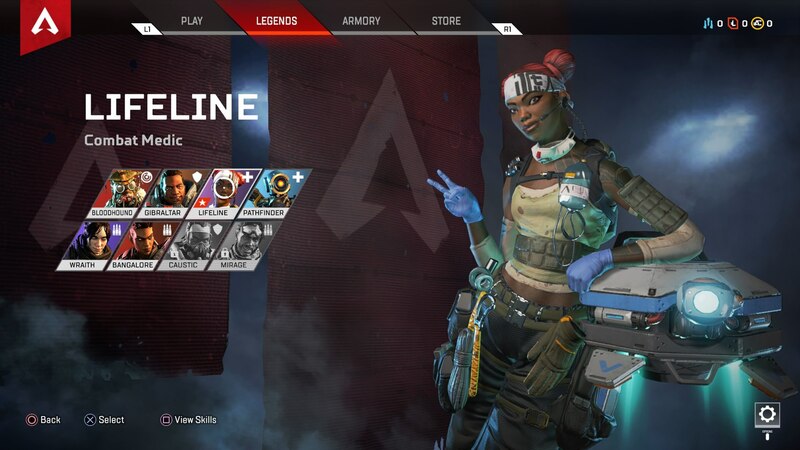 When it's your turn, you have right around 8 seconds to select which Apex Legends character you want to play as. Note that there can't be duplicate characters on a single team, so if one person has already taken Wraith, you'll have to pick another character. From the very outset of Apex Legends, you’re fortunately not locked into playing as one character. In fact, you can switch between characters whenever you wish between games, by simply tabbing over to the ‘Legends’ option from the main menu, hovering the cursor over any of the eight heroes, and pressing Y/Triangle. But there are two characters in Apex Legends that aren’t unlocked from the beginning of the game. These are Caustic and Mirage, and you can unlock them with either 12,000 Legend Tokens, or 750 Apex Coins. 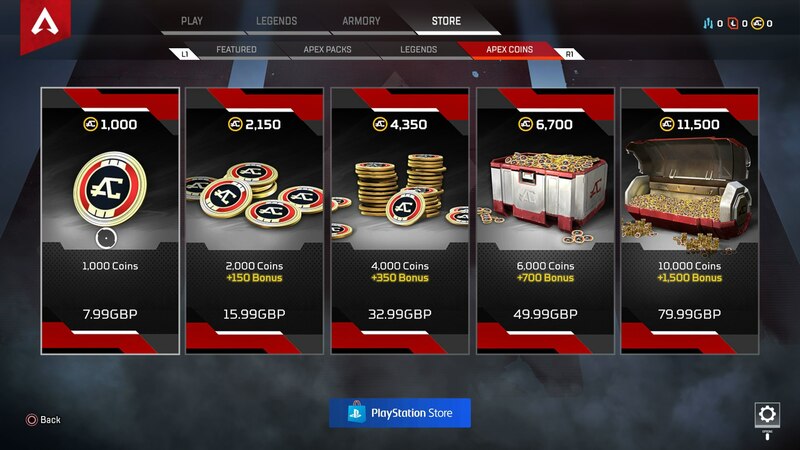 It’s entirely possible that you can accumulate 12,000 Legend Tokens through simply playing Apex Legends, but if you want a shortcut to unlocking these characters, you’re going to have to shell out real money on Apex Coins. Respawn was always vocal about adding new heroes to Apex Legends further down the line, and now we know that Octane will be launching alongside the debut seasonal event in the game. For a complete breakdown of everything you need to know about Octane, head over to our Apex Legends new characters guide. This might be it for our complete overview guide to all the characters in Apex Legends, but there’s plenty more coverage of Respawn’s game here at USgamer. 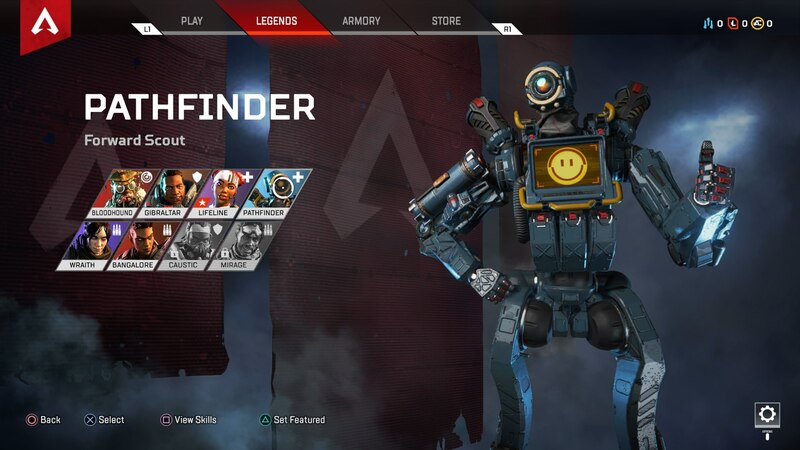 You can head over to our Apex Legends Packs guide, or our Apex Legends item rarity guide for more.